Featuring 6TB of storage the My Book® Studio Edition™ II is a dual-drive storage system with quad interface eSATA, FireWire® 800/400 and USB 2.0. 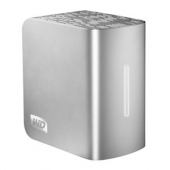 As always WD aims to please offering a large storage capacity in a smaller footprint but maintaining a slew of fantastic features. The MyBook SE II contains WD GreenPower Technology, consuming approximately 1/3 less power than standard dual-drive external hard drives. 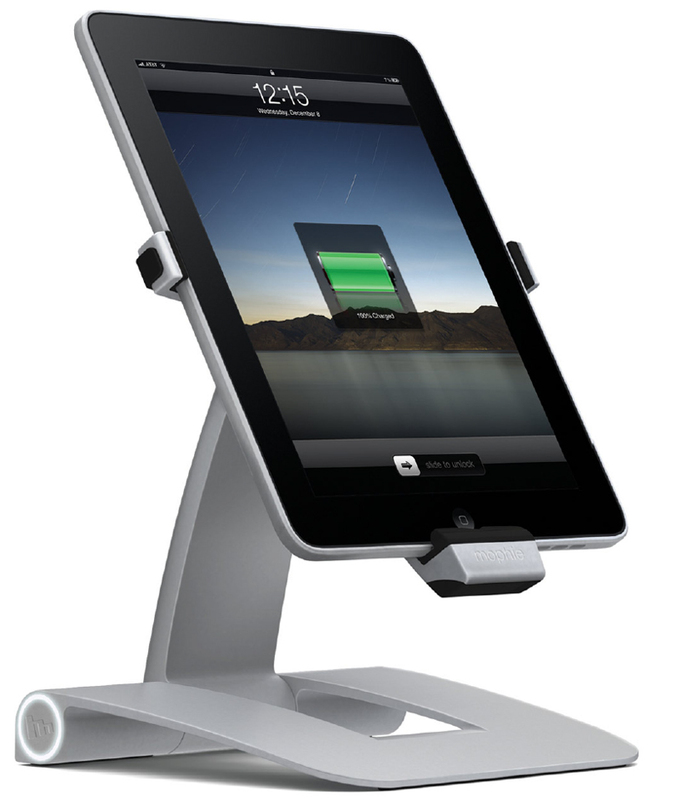 The unit is also user serviceable, enabling the you to open the enclosure and replace the drive inside. If you are in the market for additional external storage look no further than the WD My Book® Studio Edition™ II. 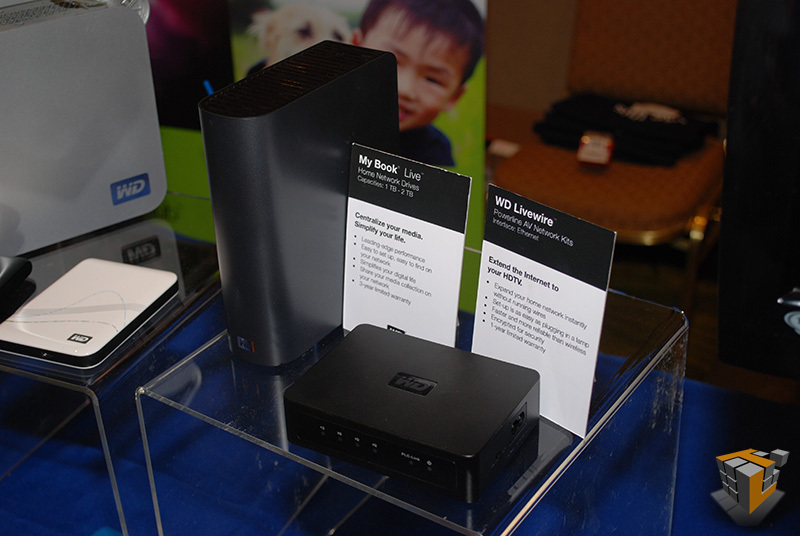 Keeping up with the world of digital media, WD showcased the WD TV® Live Hub™, part of the WD TV media play family. 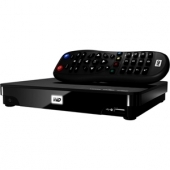 The Live Hub media center is a Full-HD 1080p media player with a built-in 1 terabyte hard drive giving you the flexibility of local and network playback options. WD brings all your multimedia to the TV and network including purchased, downloaded, streamed, and locally stored pictures, movies, and videos. 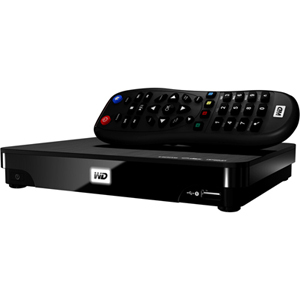 The WD TV Live Hub media center plays a wide variety of media file types, including popular Full-HD 1080p video formats such as .mkv, .mp4 and .mov. 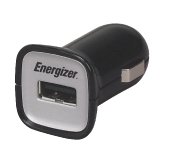 Digital media can be easily transferred to the internal drive from shared folders on PCs and Mac®s on the network or directly from external hard drives, thumb drives, camcorders or cameras connected via one of the two USB ports. Users also can stream videos from home network drives with a DLNA/UPnP™ server such as the recently announced My Book® Live™ home network drive. Check back soon to see full reviews of WD’s latest line-up. 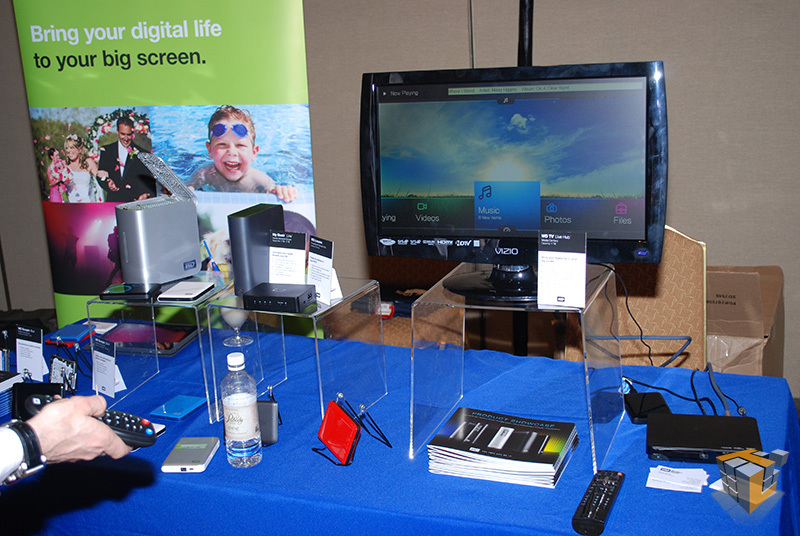 Lenovo presented a complete line up of netbook, ultra-lite notebooks, and an all-in-one desktop model at CTIA. One notebook that caught our attention was the IdeaPad U260. The feature packed notebook is light weight @ 1.38Kg, yet felt solidly built and had featured a Core i5 Intel 2nd Gen processor. The 12.5″ HD screen, silky smooth glass touchpad, laser etched controls, and metallic cover makes the U260 a thin and classy model of notebook. 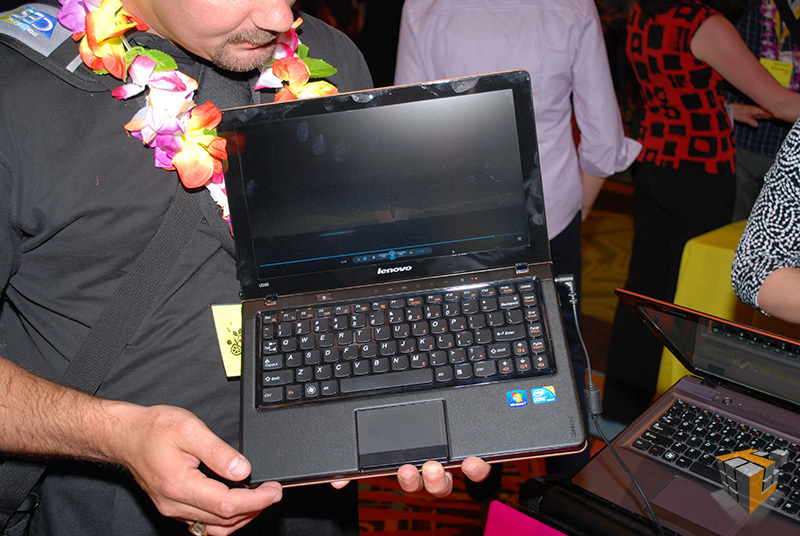 With advanced cooling features and spill resistant keyboard we think Lenovo has a mobile winner. Check back with us to see a full review at a later date. The stunning Lenovo® IdeaPad® U260 notebook is the industry’s first 12.5” ultraportable notebook. 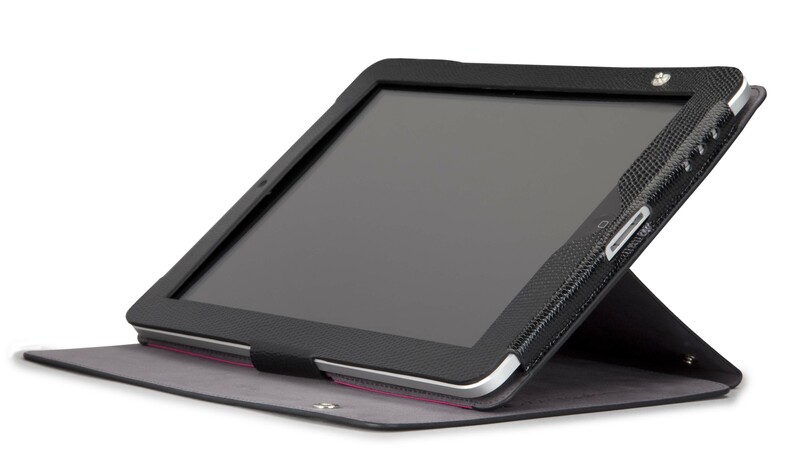 A unique blend of textures and materials, the notebook features a strong yet light one-piece magnesium-aluminum cover, smooth glass touchpad and soft, textured palm rest. Insight-driven engineering and attention to detail is evident in every feature of this stylish product that’s available in riveting Mocha Brown or Clementine Orange. A chiclet keyboard with island keys facilitates ease of typing, while the Breathable Keyboard, an Intel® Advanced Cooling technology, allows your PC to run cooler and maintains spill-resistance. The IdeaPad U260 delivers smart performance with the Intel® CoreTM i5 processor. What’s more, Lenovo Enhanced Experience for Windows® 7 delivers faster boot up and shutdown, rich multimedia capabilities and the convenience of easy system maintenance tools. 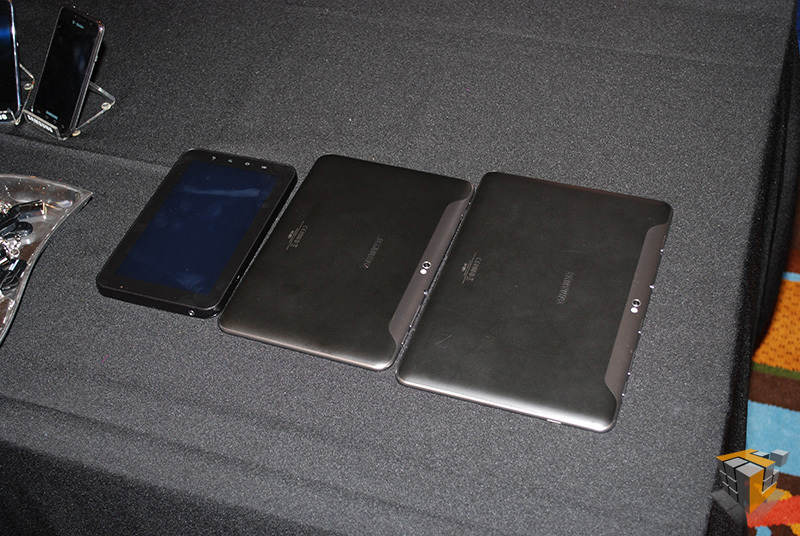 Announced two new additions to its family of GALAXY Tabs, the GALAXY Tab 10.1 and GALAXY Tab 8.9, the world’s thinnest mobile tablets, measuring just 8.6 millimeters. 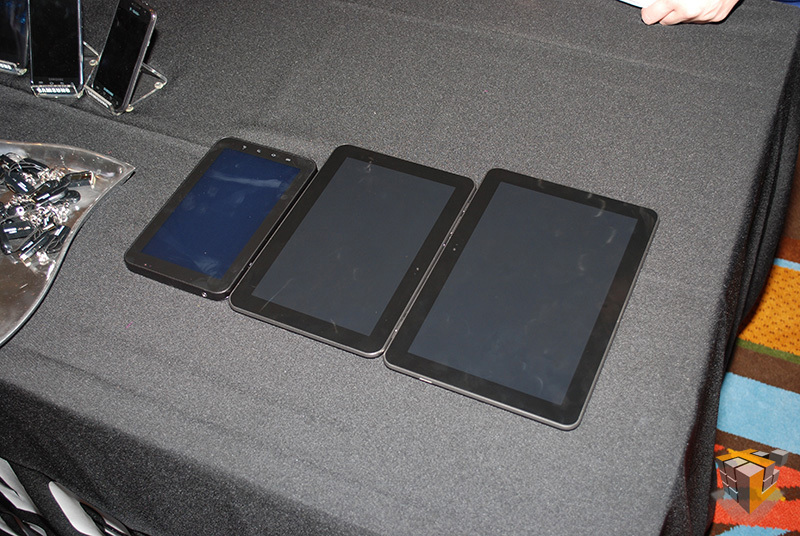 The GALAXY Tab 10.1 and 8.9 feature Samsung’s own TouchWiz user interface implemented on the Android™ 3.0 (Honeycomb) platform, offering superior multi-tasking and enhanced user interaction and navigation. 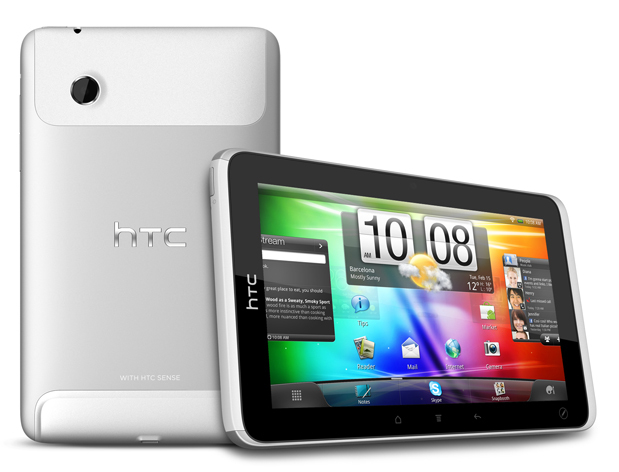 Best Buy® and HTC announced the exclusive launch of the Wi-Fi HTC Flyer Tablet. The HTC Flyer is a fast, portable, light-weight tablet that integrates the immersive and highly intuitive HTC Sense™ experience and enables content including videos, music, games and more to be easily accessed and enjoyed. 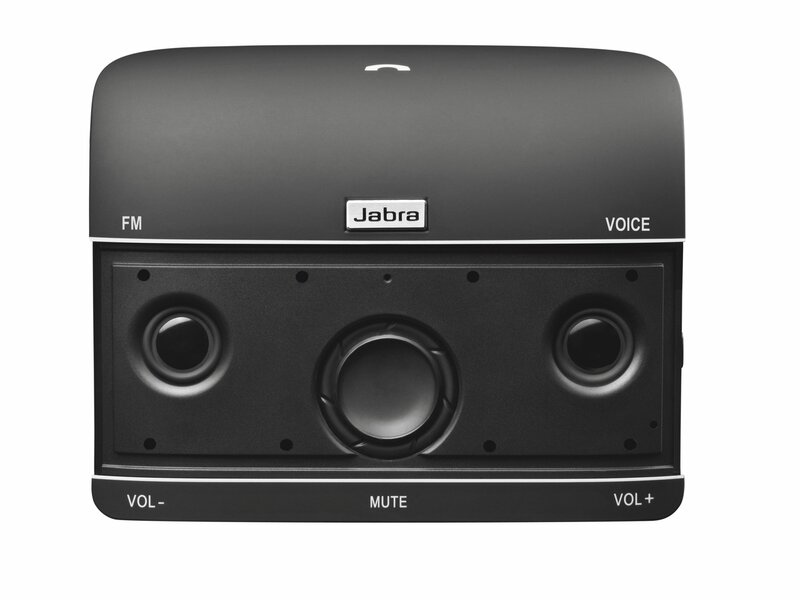 Announced the Jabra Freeway, a three-speaker hands-free device for cell phone use. 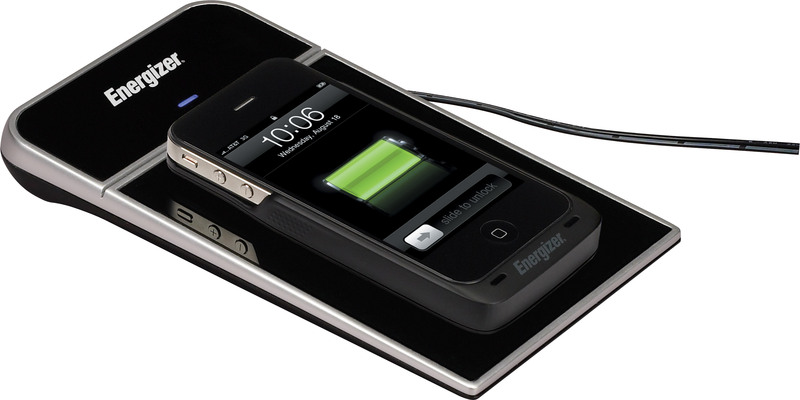 The high quality speakerphone excels, providing great fidelity and fantastic sound reproduction. 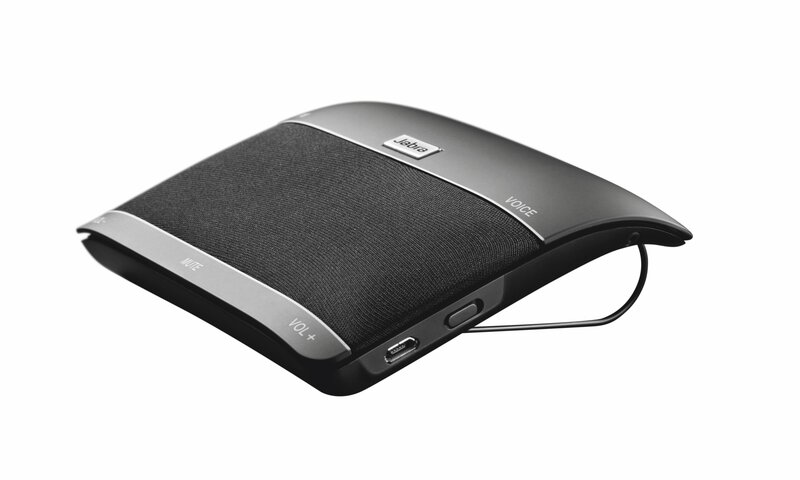 The FREEWAY is more than a high quality speakerphone, it also doubles as a mini sound system for your music enjoyment. 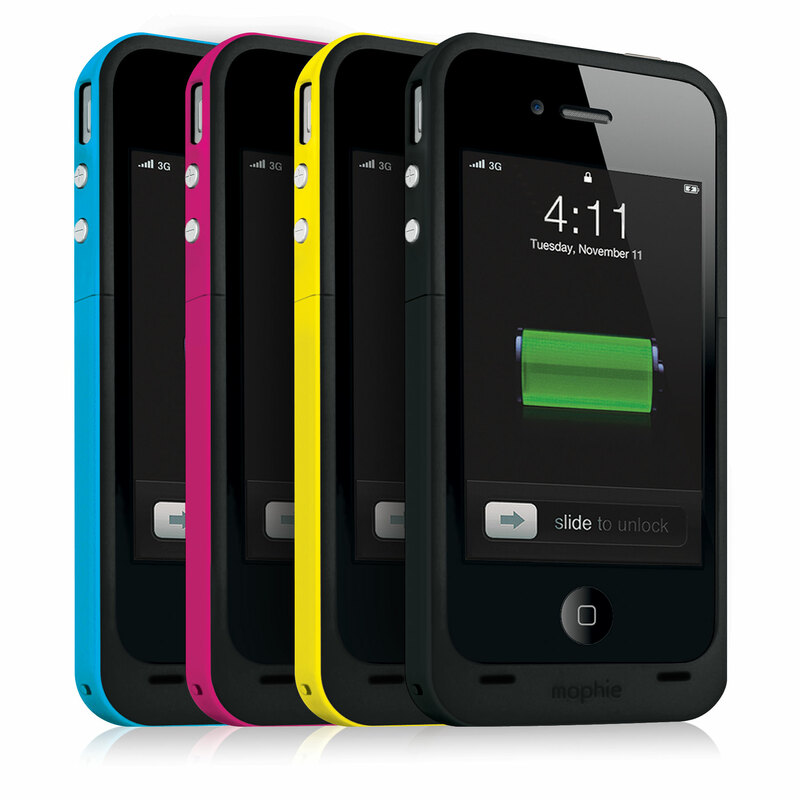 Music playback over Bluetooth from an iPhone was excellent — the music was clear and vocals were present with a prominent volume level. Voice Guidance provides audio pairing instructions, battery level, connection status, and Caller ID for easy hands-off usage. 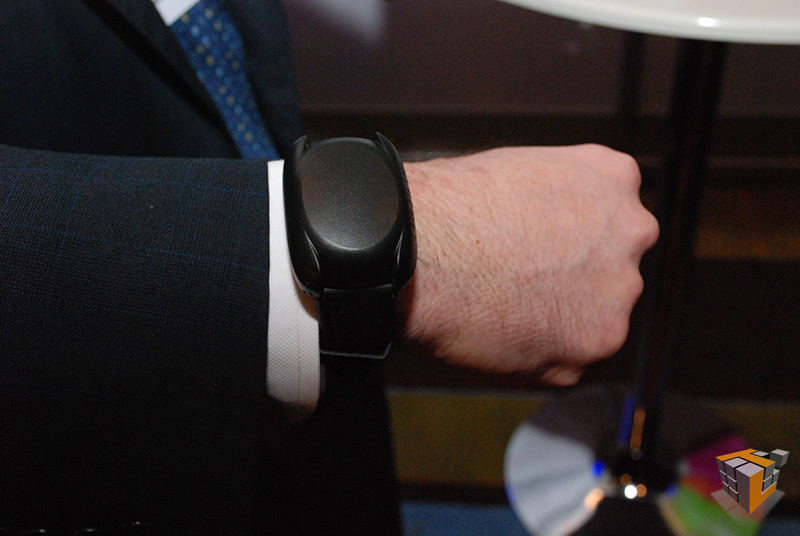 The FREEWAY also features Voice Assist, a subscription based voice app that can control calls and commands of your connected cell or IP phone. 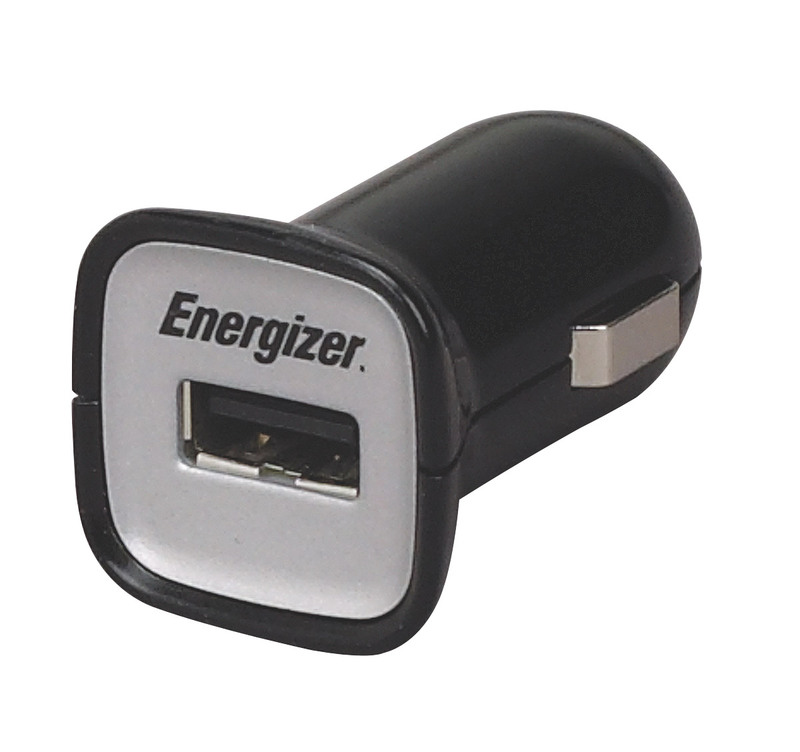 This makes the device 100% hands-free tech for a safer driving and talking experience. Charging accessories galore! 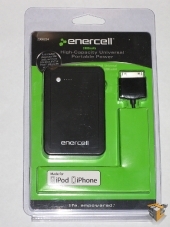 RadioShack’s brand enercell showing off their latest charging accessory for emergency situations. 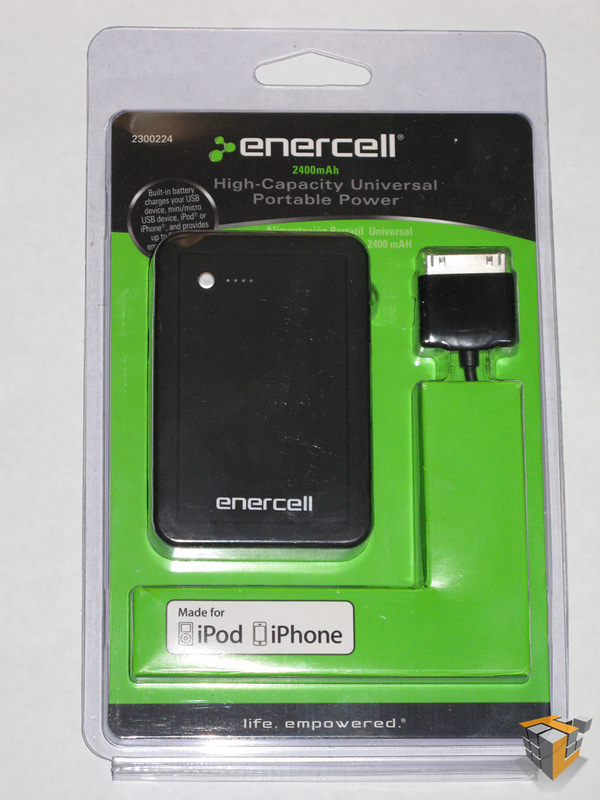 The 2400mAh power pack provides extra juice to an array of devices including MP3 players, iPod, iPhone, and any USB equipped smart-phone. 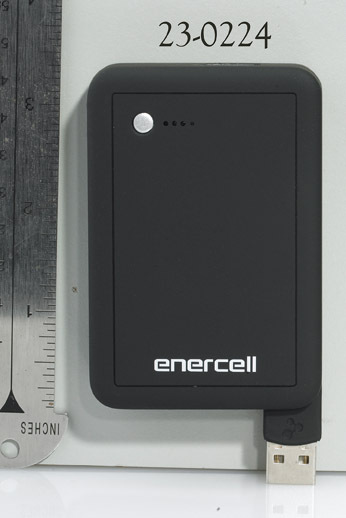 The pocket-sized device offers up to an additional 8 hours of runtime for your digital device in need of a boost. 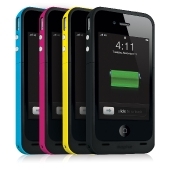 Sporting an array of cell phone accessories for the popular line of Apple products, mophie showed off some of the sleek offerings such as the iPad powerstand. The also recently announced juice pack air designed with dual compatibility for the Verizon and AT&T iPhone 4 was on display. 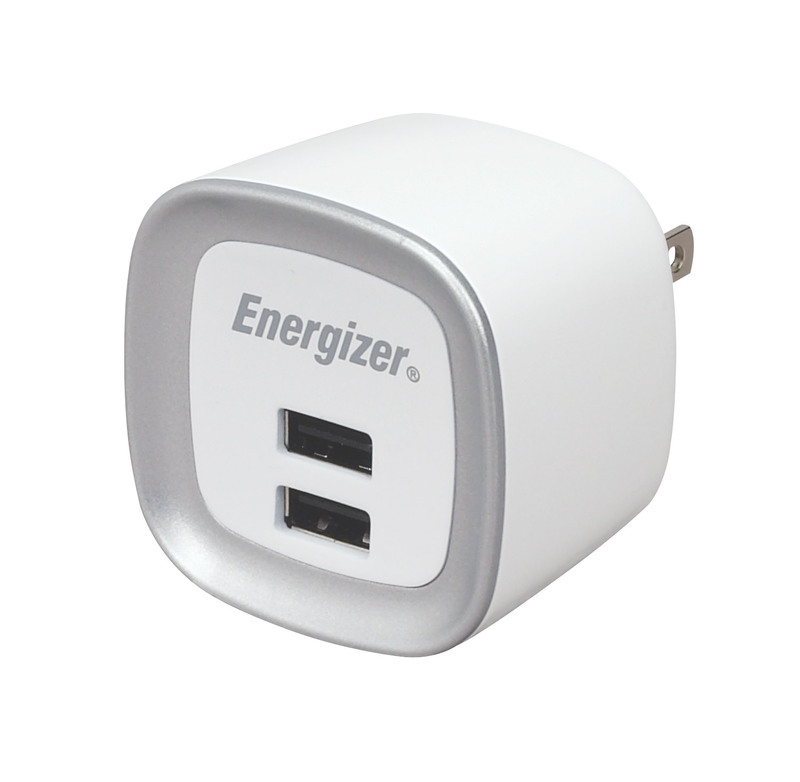 Expanding its suite of Qi-Enabled chargers, Energizer demonstrated its new single-zone inductive charger and mini/micro USB adapters. 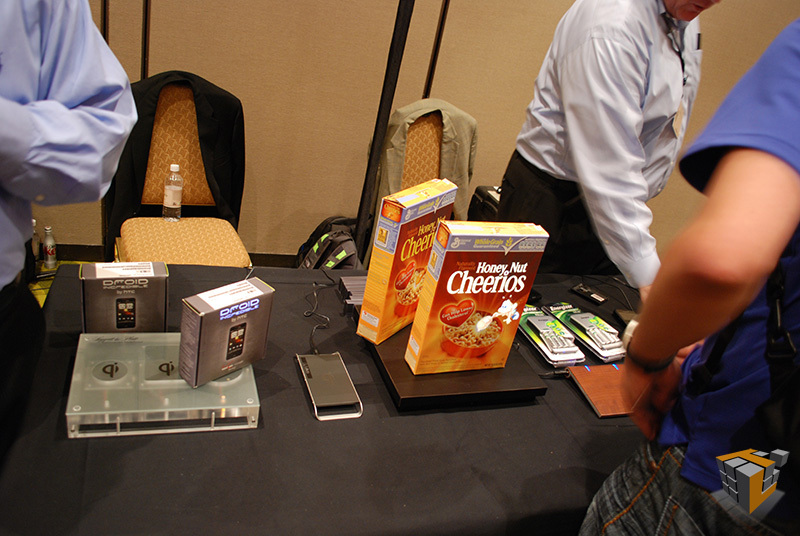 The demo also shows how the inductive charging technology can be applied to on the shelf charging of packaged products and energize display packaging for marketing purposes. 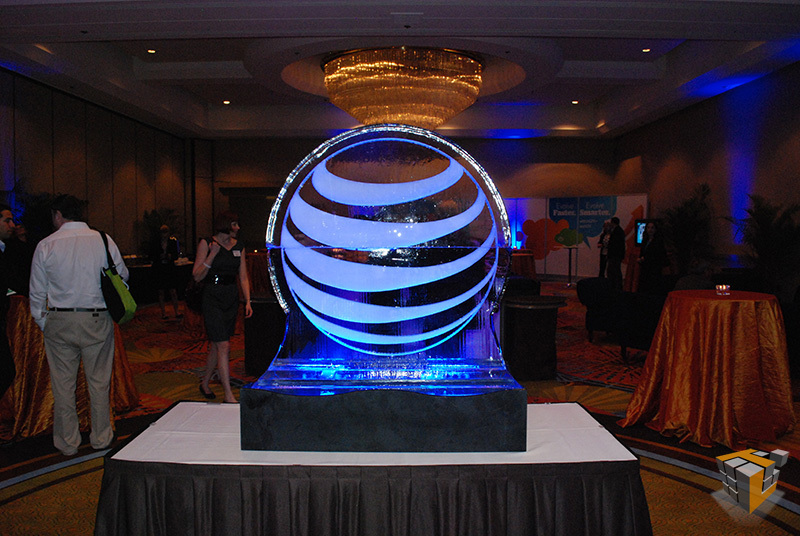 Following the bombshell announcement of AT&T’s desire to acquire Deutsche Telekom’s T-Mobile USA for $39 billion, AT&T showcased current and upcoming handsets for the carrier. Most notably 3D enabled phones, including 3D photo and video recording/playback. 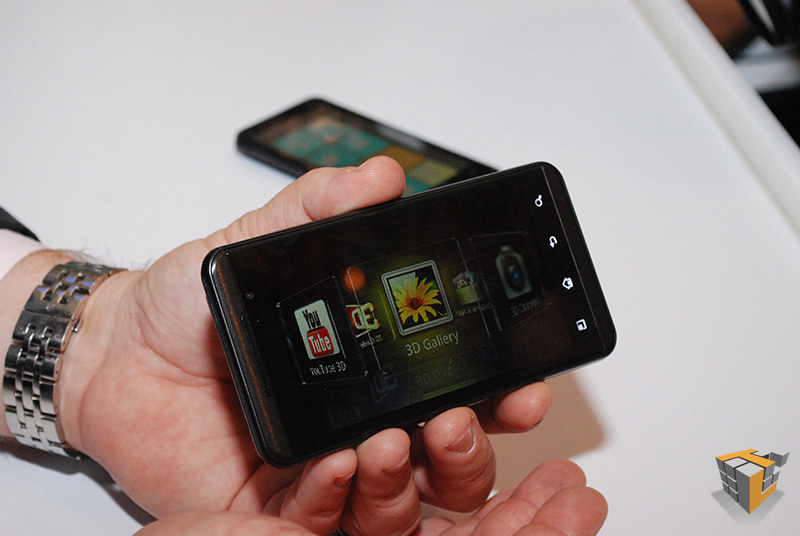 The LG Optimus 3D or Thrill 4G as it will be launched in the USA. With a 4.3 inch screen, dual core processor from Texas Instruments, dual RAM, and dedicated voice + data processor the device from LG provides more than just a 3D upgrade. 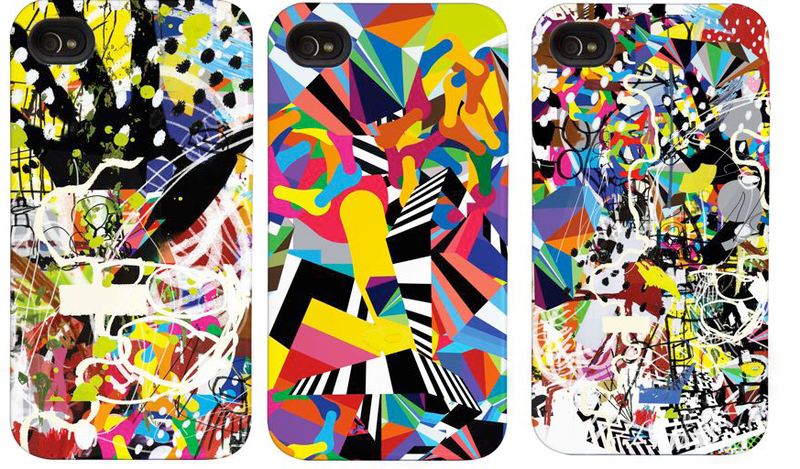 Announced an upgrade to the popular EVO 4G handset presenting the HTC EVO 3D. 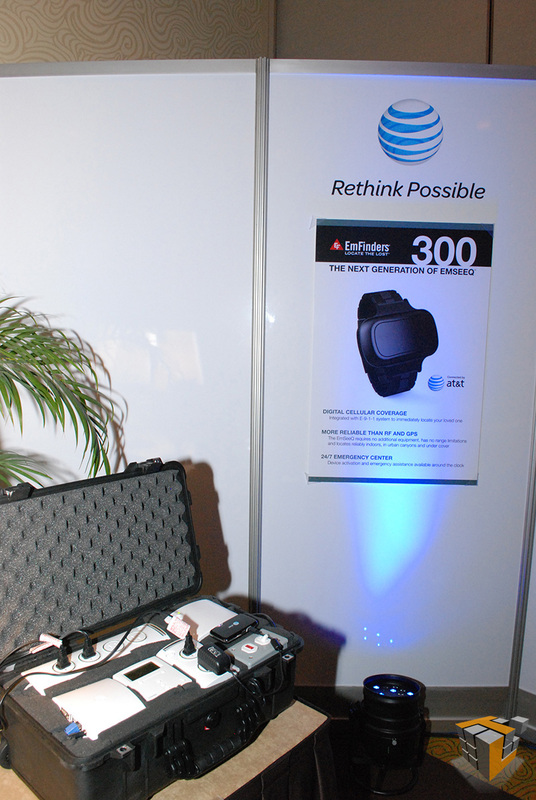 Also on display was the Echo smartphone by Kyocera. 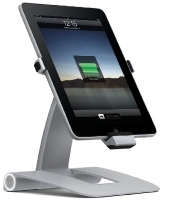 Featuring dual touch screens hinged in such a way as to minimize the gap between the two displays makes it also a single over sized display. 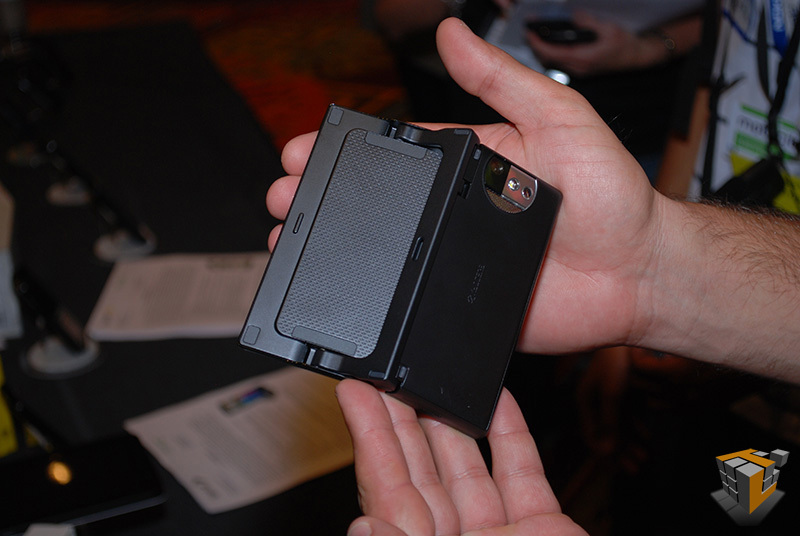 With an similar setup as a Nintendo DS, could the Echo be the next big gaming cellphone?